During her lifetime Clara Schumann outshone her husband Robert, who was most often known as “Clara’s husband.” The tide of fashion turned, making Robert, who died in 1856, a household name while Clara’s reputation has faded. 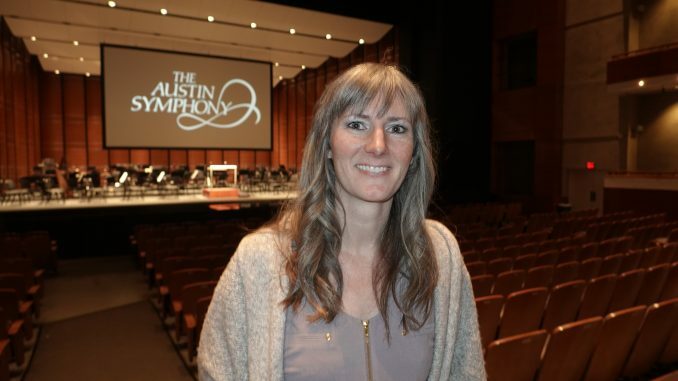 A revitalised interest in Clara and her music led to a 2004 opera about her life, and the Austin Symphony Orchestra made its own contribution by playing her Piano Concerto for the first time on March 22. In her day, related Michelle, “pianists set up the venue, set up the orchestra and did the PR. Clara did all that,” and was so successful that just by playing for a couple of months “she could support the household for a year.” Franz Liszt was her only rival as a force of nature on the piano but “they did not want to compete.” While Liszt abandoned concertising in his forties, Clara continued into her 60s. The work is in three movements, played with a pause. A sprightly engagement with the keys builds to a frenetic climax which is then moderated by the orchestra. It calms things down so much the piano only reluctantly re-engages with the concerto, expressing a degree of contrition about its recent outburst of brio. It progresses to play a delicate melody of pure innocence that is expressed by the languid movement of Michelle Schumann’s arms as they gently waft the air above the keyboard as if to spread the notes for all to hear. A long, technically difficult passage on the piano elicits a quizzical response from the orchestra, perhaps overwhelmed by the virtuosity and not sure how to reply. The piano helps by carrying the orchestra along on an artistic voyage of discovery, seeming to point out one fine artwork after another until the journey ends at the greatest objet d’art in this museum of delights. The Clara Schumann piano concert, in the hands of her namesake Michelle Schumann, is a rare delight. A work by Lili Boulager, Spring Morning, was particularly appropriate as Spring has just begun. It’s opening surely evokes a spring morning as the Sun just catches the tops of bright flowers. But as her last composition, composed when near death at age 25 in 1918, I do not believe she was depicting a spring morning in our own time. Having lived through World War I, Boulager gives us a scene from an antediluvian landscape of great grandeur, long before the human race made a mess of things. One can hear little animals, ancestors of those we know, scurrying about, while birds look down on a scene where a predator chases its prey. Perhaps she was telling us that humans merely mirror their ancient animal ancestors in their violence, which concludes this amazing 5-minute composition with a bang. In what would have been an entirely classical concert, all pretense was abandoned by Higdon’s concerto. Like it or not, it evoked a very strong response with many people jumping out of their seats at its conclusion to give the performers a standing ovation. Like viewing any aspect of modernism for the first time, it can be unsettling. 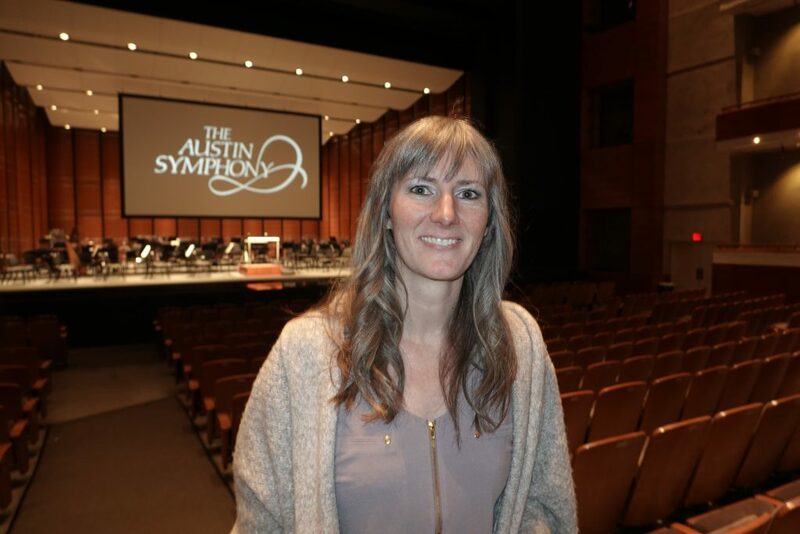 But by taking the Austin audience out of their comfort zone at a masterpiece concert, Maestro Bay should be applauded for having the courage to present it. There is one more chance to hear this excellent concert: tonite, March 23, 2019. Visit www.austinsymphony.org for more information on this and upcoming concerts.